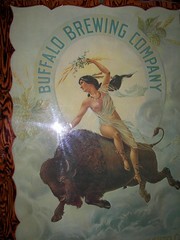 Old beer poster I saw at Wall Drug. They sure don’t make beer posters like they used to! I am comforted by the thought that the beer probably tasted terrible, while the vintage artwork is hoppy, floral, whimsical and deeply satisfying!